Tender, sweet, and juicy it doesn’t get better than Toaster Oven Baked Corn On The Cob. 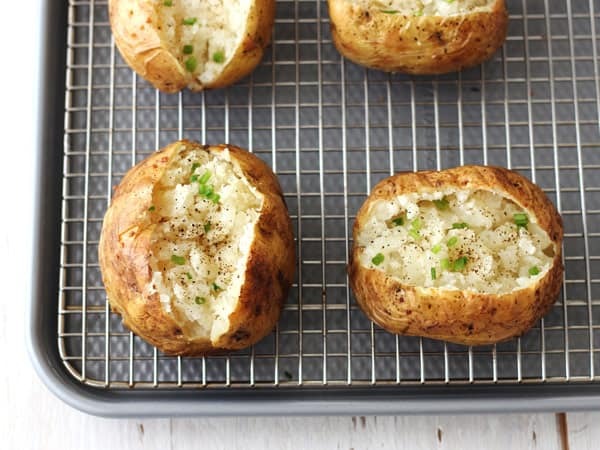 Only 5 minutes of prep and 30 minutes of baking in your little oven for this tasty side dish! Why heat up your big oven or grill for a few ears of corn? If you’re only cooking for one or two people, toaster oven baked corn on the cob is where it’s at. 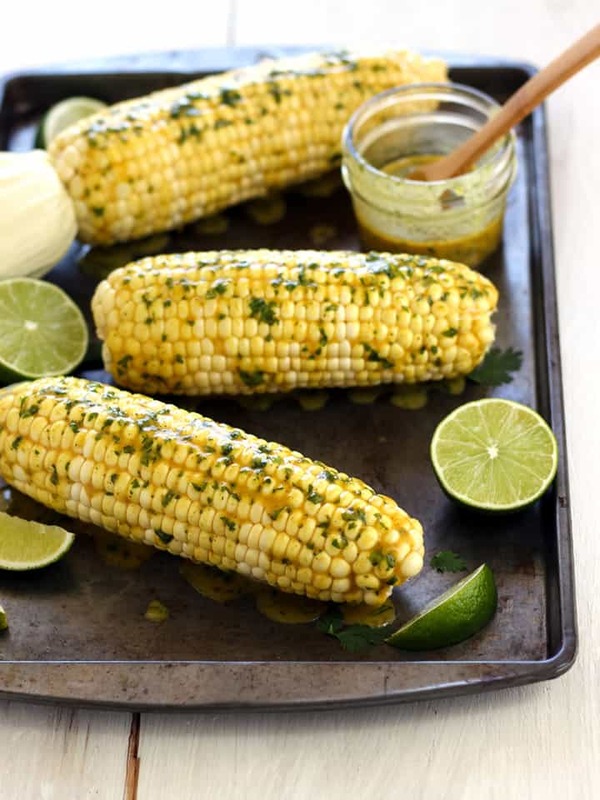 I know what you’re thinking…with grilling, boiling and even microwaving as options why would you want to bake your corn on the cob? Because it’s easy, like TAKE. BAKE. EAT. 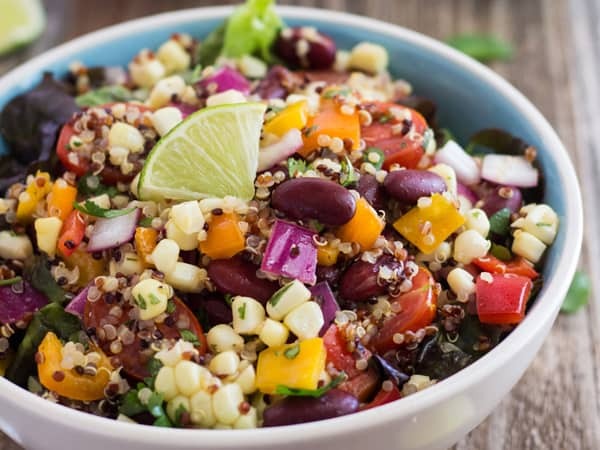 Also, the corn tastes fantastic even when you slice it off the cob and serve it on the side or in a light and healthy salad. 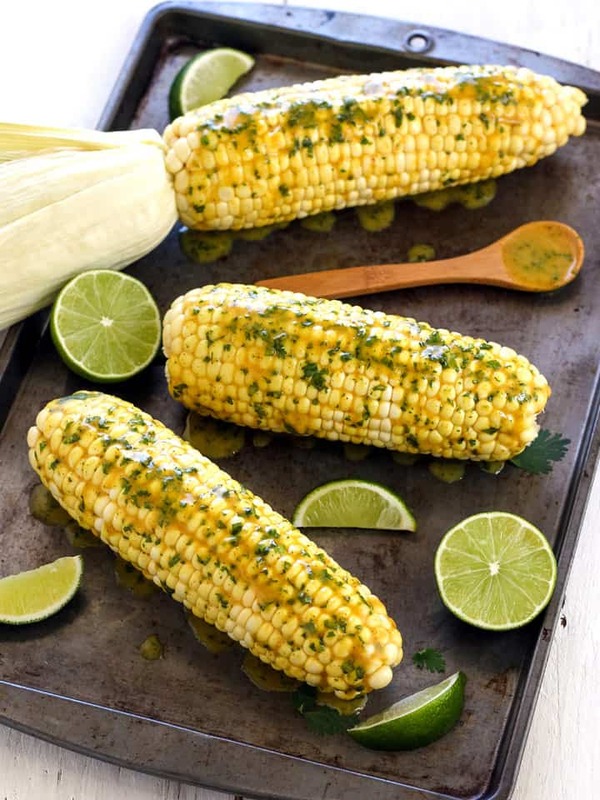 The secret to this ultra juicy and sweet corn is that you bake it with the silks and husks attached. An added bonus to this method is how easy those annoying silk strands slide right off the cooked corn kernels. Start by removing your toaster oven’s cooking rack and preheat it to 350ºF degrees. We’ve tried a lot of time and temperatures with varying results. At higher temps., the corn would always be dried out even with a shorter cook time. A nice and simple 350ºF for 30 minutes will never let you down. Next, wash off the outside of the corn husks. Dry them very well with a kitchen towel and slice off any silks (thin hairs) extending beyond the front of the husks. What if my cobs don’t have husks? That’s totally cool just wrap them tightly in aluminum foil*. 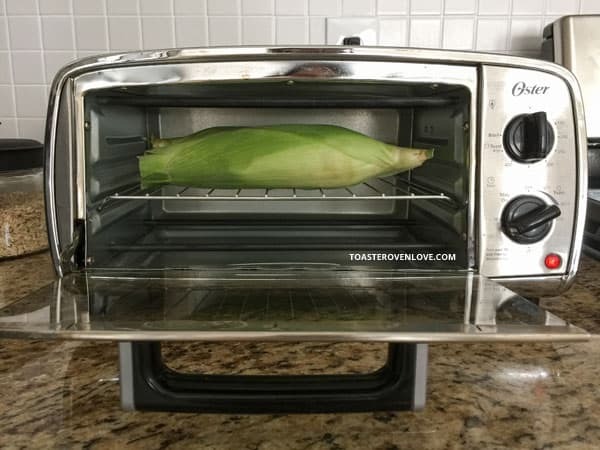 Arrange the corn on your toaster oven’s cooking rack and place it in the middle position of your preheated toaster oven. Safety First: Take a quick peek and make sure the cobs are not touching any of the walls of your toaster oven. Dried husks + super-hot walls can be a sketchy combo. Bake the corn for 30 to 35 minutes. When ready the husks will be much lighter, dried out and if you squeeze the corn in the middle it should give a tiny bit. Let the corn cool for a few minutes. Then pull back the husks and silks to remove them from the cobs. You could go traditional with salted butter. Maybe get a little wild and add some season salt too. Or you can take things into flavor superstar territory with a creamy curry coconut butter (see recipe below). 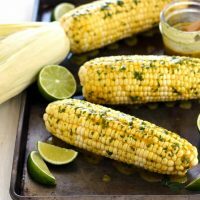 Whatever toppings you choose, slather them on your freshly baked corn on the cob, squeeze a lime wedge or two over top and grab some napkins! Mmmm…so messy but oh so delicious! This post contains affiliate links, read our disclosure to find out what that means. Coconut butter is dried coconut flesh that’s been ground into a rich and velvety spread (similar to almonds ground into almond butter). 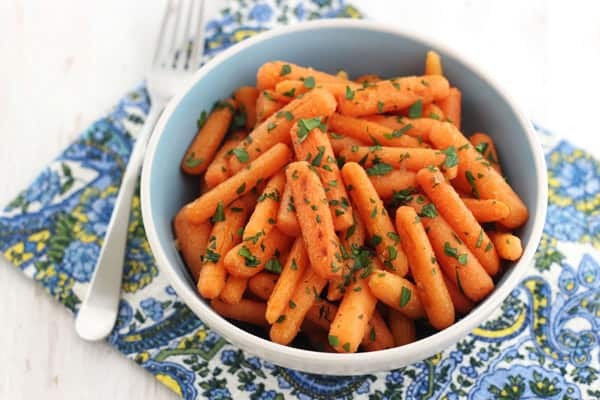 It has a light coconut flavor that tastes delicious on its own or mixed with a few spices and drizzled or spread onto everything. Also known as coconut manna, coconut butter is becoming more common in grocery stores and can be found at natural food stores like Whole Foods. Our favorite is Nutiva Coconut Manna, it comes in two jars that last quite a long time and you can get it from Amazon. Bake tender, sweet and juicy fresh corn in your toaster oven, perfect for when you're cooking for two! Remove your toaster oven’s cooking rack and preheat it to 350 F.
Wash and dry the outside of the husks. Slice off any silks (thin hairs) extending beyond the front of the husks. Bake for 30 to 35 minutes until the husks are dried out and the corn gives a little in the middle when squeezed. 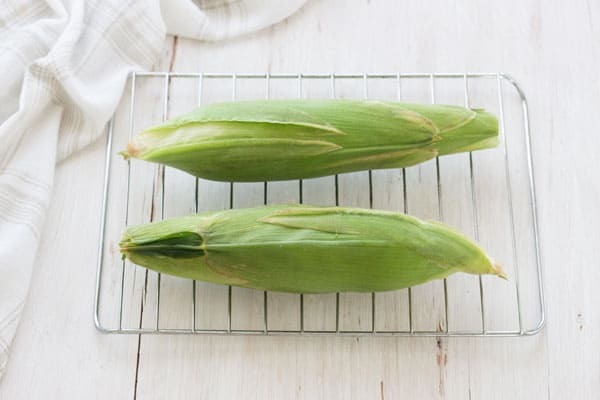 Allow corn to cool a few minutes. Remove the husks by pulling straight back. The silks will attach to the husk and come right off the corn kernels. 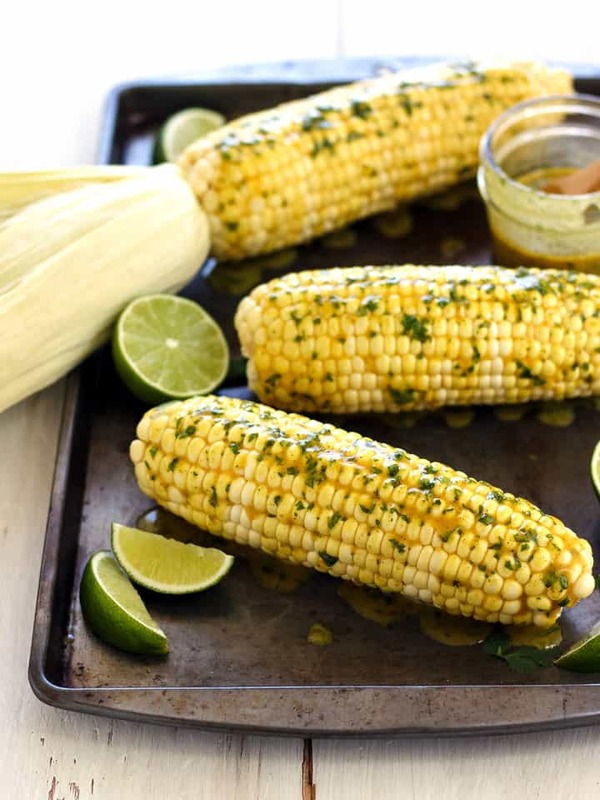 Serve with curry coconut butter and lime wedges or use your favorite corn on the cob toppings. In a small bowl whisk together the coconut oil and curry powder until the curry powder is dissolved. Whisk in 1 tablespoon of the coconut butter and add more a teaspoon at a time until desired thickness is achieved. Add lime peel and cilantro and stir until well combined. Taste butter and add salt and pepper to season as desired. 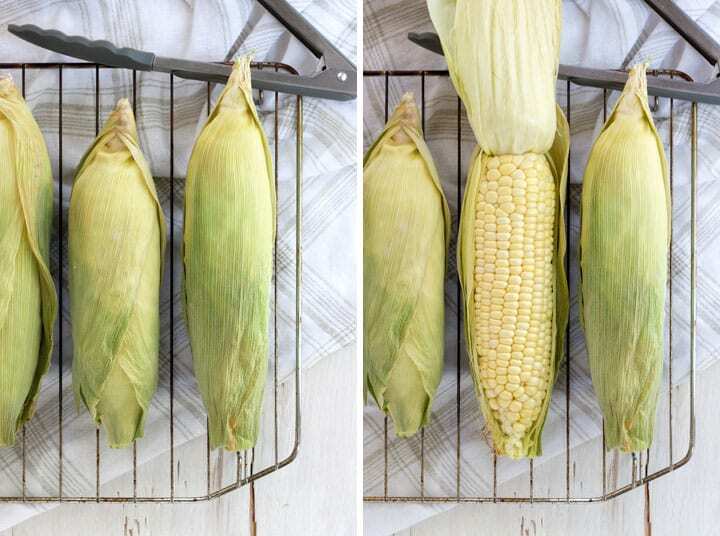 If your corn doesn’t have a husk you can wrap it tightly in foil but make sure to consult your manual first as most manufacturers have specific instructions for the use of foil in their toaster ovens. Store leftover curry coconut butter in a covered container in the fridge for up to one week. Set on the counter at least 30 minutes before using to allow it to come to room temperature. Nutritional information is an estimate for 1 baked corn on the cob drizzled with 1/4 of the curry coconut butter. 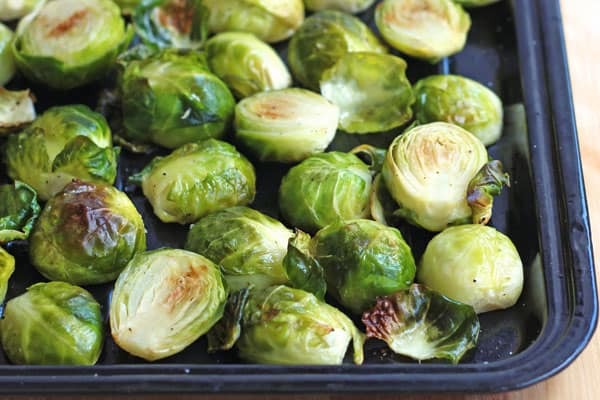 Looking For More Toaster Oven Vegetable Recipes? In Romania, where I grew up, they sell cooked corn in the husk on the street. They have some big trolleys with boiling water inside and you can buy a freshly cooked one whenever you want. So delicious and I haven’t had any in more than 10 years, I think… You’re method reminds me of them, I really should make these. Wow I can’t even imagine how many ears of cooked corn I would eat if I could just buy them on the street 🙂 that sounds so awesome! i’m SO happy corn season is upon us! i’ve actually never had it baked, only boiled and grilled. i’m obviously missing out and will try this version ASAP!